Went to farm yesterday morning, and came back just now. There were a couple of targets – the aim one being the base for the new shed. The site is ~150 yards from the nearest truck option, winding route across rough ground. Thus the hardest element was getting the materials there, especially the bags of concrete. A decent workout especially as I am doing it on my own. Makita battery power tools did a good job – the twin battery saw is very nice. 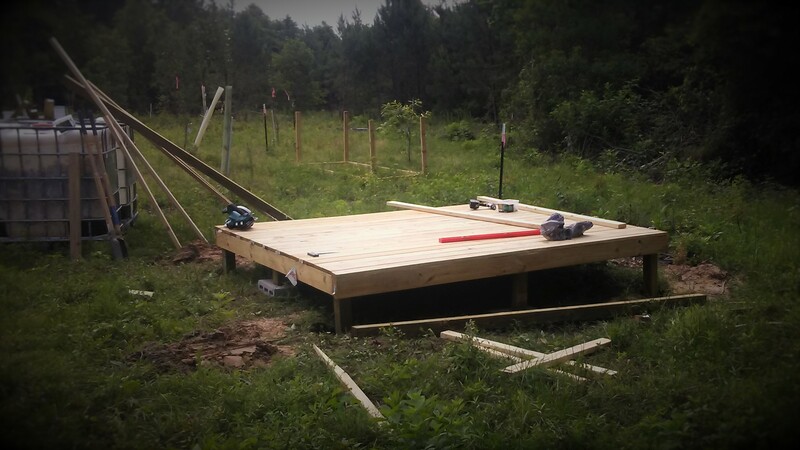 Deck turned out almost perfectly level in all orientations. And whilst is was square the end board required some trimming as some of the decking boards were bananas. Won’t be until next week I get to do the shed. The IBC tanks are for rain water catchment, 2 in place one more to come.